radical catholic blogs: ignore or challenge? In the wake of the Second Vatican Council, too much preaching and catechesis focused only on peace and justice issues, or presented a subjective and sentimental understanding of the Catholic faith. Pastors and catechists are not the only ones at fault. The Catholic faithful themselves have too often preferred a fuzzy, feel-good message. Indifference, and indifferentism, have produced a notoriously lax and ineffectual form of American Catholicism. I agree that fundamentalism is fed on a perceived weakening and watering down of faith, a need to “get back to our roots”. Fundamentalism often morphs into an aggressive regression to simplistic, black and white thinking. Fundamentalism leaves little room for questioning and dialogue, for discerning personal circumstance and diversity. Fundamentalists often bully others into what they perceive as purity of belief and ritual. Blaming a lack of catechesis and a “notoriously lax” Catholic populace is an over-used tool for many clerics and lay alike. How many times were we told during discussions on the recent Synod on the Family that all problems in the family could be solved with more catechism classes? This is not only simplistic. It also bypasses the messiness of real encounter and true dialogue. It is easier to quote catechism and bible verses at a person than to immerse yourself in the reality of their life. It is easier to believe in and promote black and white teachings than to deal with the uncertainty of the grey, in-between. Lonenecker did some online research on some of the “radical” Catholic blogs. The examples of nastiness that he lists show the lack of charity and basic human respect shown by these self-appointed arbiters of doctrinal purity. Their venom and vitriol prove that Fr. 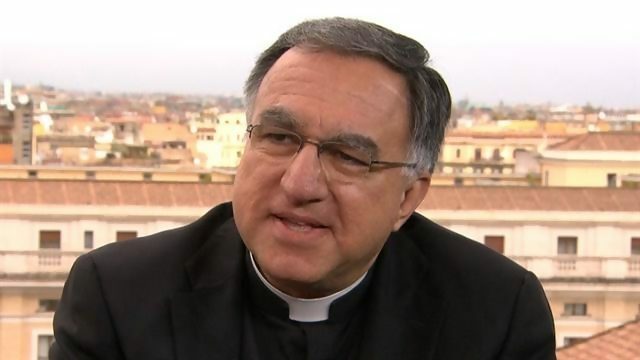 Rosica was justified in his condemnations. Lonenecker ends the article on a note of resignation. There is no way to talk to these extremists, he believes, so we should simply ignore them. Therefore, one must shrug, get on with the difficult calling of following Christ the Lord, and remember Rosica’s final comment: “We must pray for them, for their healing and conversion! History is filled with religious and political ideologues whose incendiary words stoked the flames of bigoted hatred and division. Their modern day contemporaries surprise us with their seemingly effortless rise to power. How did they achieve such a strong voice? How did they get others to not only listen to them, but to believe and support what they are saying? They do so by feeding on ignorance and despair, giving simple answers to complicated issues. They promise heaven to those who feel the despairs of earthly existence. They target insecurities and feelings of inferiority by labelling and attacking the “other”. In doing so, their own egos are nourished. Sorry, Father Lonenecker. Sure, we need to pray. We also need to shake off our complacency and speak out. We need to protect our church and our world from extremists, both religious and political. Cesspools need to be called out for what they are. Shrugging them off will not take the smell away.